It’s been six years since iconic loudspeaker designer and manufacturer Sandy Gross wowed us with one of the first products from his latest venture, GoldenEar Technology: the Triton Two loudspeaker with powered subwoofer section. Since then, GoldenEar has introduced larger and smaller versions of the Triton, including passive models, as well as bookshelf speakers, sound bars, and powered subwoofers, all to near-universal acclaim. But time moves on -- even for products as admired as the Triton Two and the smaller Triton Three, both of which are now available in updated versions: the Triton Two+ ($3499.98 USD per pair) and the Triton Three+ ($2499.98/pair). The Triton Two+ and Three+ have benefited from the improvements and lessons GoldenEar learned while developing their statement model, the Triton One, which was reviewed by Doug Schneider. The One remains in production, along with the Triton Five and Seven passive models. When GoldenEar approached me about reviewing one of the new models, this cost-conscious audiophile requested the Triton Three+. GoldenEar does much of their design work at their development facility in Arnprior, in Ontario. There they apply many of the scientifically based principles of loudspeaker design first developed at Canada’s National Research Council (NRC), in Ottawa. They test their designs in their own anechoic chamber -- an exact duplicate of the chamber at the NRC, where the SoundStage! Network has its review samples measured. Take a look at our recent SoundStage! Insight videos to get an idea of the impressive amount of R&D that went into the designs of the Triton Two+ and Three+, and the importance of the anechoic chamber in GoldenEar’s testing of prototypes. 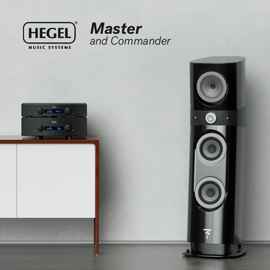 While GoldenEar’s High Velocity Folded Ribbon (HVFR) tweeter, with its powerful neodymium magnet, remains unchanged in all of the Triton models, the midrange driver, crossover, and DSP software for the subwoofer section have all been substantially reworked. 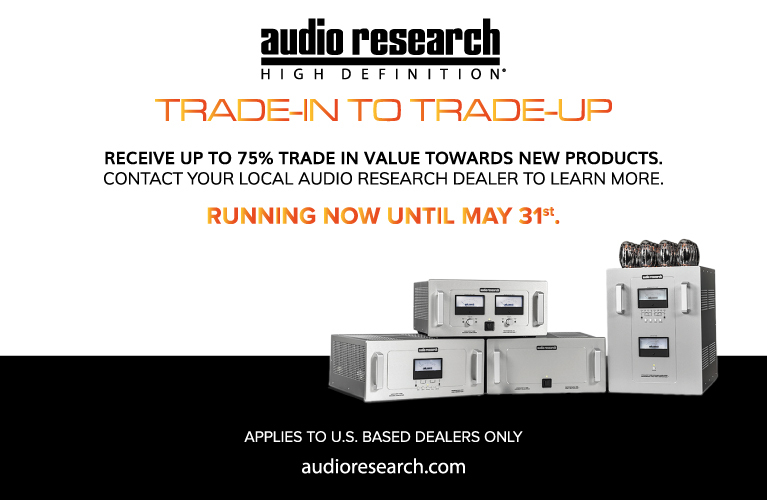 There are a new polypropylene cone, butyl surround, spider, and voice coil for the 4.5” Multi-Vaned Phase Plug (MVPP) midrange driver, and the balanced, linear-phase crossover, with polypropylene capacitors, is similar to the one used in the Triton One. The crossover to the powered subwoofer section has been optimized with a complete rewriting of the DSP software. The HVFR tweeter and new MVPP midrange are both sealed in their own subenclosure within the cabinet, to isolate these drivers from the subwoofer section. The subwoofer itself is a single 5” x 9” quadratic driver powered by an 800W ForceField amplifier coupled to two passive, planar radiators: inertially balanced, 6.75” x 8”, quadratic diaphragms, mounted in precise opposition on facing sides of the cabinet. On the Three+’s rear panel are an IEC power receptacle, a subwoofer-output control dial, a blue power LED, a pair of gold-plated, five-way binding posts, and a line-level subwoofer input (RCA). As with all of the powered Tritons, the Three+’s cabinet is made of MDF, with a fixed, curved front grille. The rest of the speaker is covered with a sock of black cloth, save for the top cap of shiny black plastic, which slants down toward the back. The MDF plinth or base, finished in black gloss to match the top plate, must be attached before use, and can be fitted with spikes or rubber feet (both are provided). Standing 44”H x 5.25”W (front) x 7”W (back) x 13”D, the Triton Three+ is identical in dimensions and appearance to the original Three and weighs the same: 45 pounds. (The plinth measures 11.5”W x 16.25”D.) The rest of the published specifications also remain unchanged: crossover frequencies of 150Hz and 3.5kHz, frequency range of 21Hz-35kHz, sensitivity of 90dB, an impedance “compatible with 8 ohms,” and recommended amplification of 20-400Wpc. I used the GoldenEar Triton Three+s primarily with an Oppo Digital BDP-105 universal Blu-ray player used as a DAC-preamp and directly connected to an NAD Masters Series M27 power amp; I also used a NuPrime IDA-8 integrated-DAC. The speakers were set up in the usual places in my room: 9’ apart and a couple of feet from the front wall. As with other Triton speakers I’ve reviewed, I toed them in to point almost directly at the listening position. At first I set the subwoofer level at 12 o’clock, found the resulting bass a bit thin; a setting of 1 o’clock made the bass a little too full-bodied. After trying a few settings between these and running some test tones, I ended up with a setting just a few minutes before 1 o’clock. This resulted in a low-end response that was quite deep, but still very quick and responsive. After listening to the Triton Three+ for only a short time, I was astounded by its neutrality. The passive Tritons I’d previously reviewed hadn’t sounded colored, but the Three+ was exceptionally neutral, with a clean midrange, and an equally clear and extended treble that were unusual for a speaker at this price. The bass, too, went surprisingly deep for a speaker of this size, with little boom or overhang. I could hear a lot of detail in recordings without having to strain, and could easily hear differences among the various electronic components I used to drive the GoldenEars. The Three+ is the first Triton with a powered subwoofer section I’ve reviewed, and I couldn’t resist playing some recordings with dynamics and scale, and playing them loud. A good example is Eiji Oue and the Minnesota Orchestra’s recording of Aaron Copland’s Fanfare for the Common Man (16-bit/44.1kHz FLAC, Reference) -- a favorite of Sandy Gross’s for demos, and which I’ve heard through just about every GoldenEar speaker. The Triton Three+ went deeper and with more authority than I remember either of the passive Tritons going, and with a greater sense of scale. When I reviewed them, the passive Triton Fives had done a good job of reproducing the timpani, but through the Triton Three+ this recording was just more explosive and visceral. The soundstage was very wide -- the sounds of the brass, the cymbals, and the long decay of the gong stretched far behind the speakers. Listening to Deadmau5’s 4x4=12 (16/44.1 FLAC, Virgin), I was extremely impressed by how solidly the Three+ held the extended synthesizer notes in “Some Chords.” They were deep but well defined; even the rapid wavering of each note was tightly controlled. Less prominent elements of the mix, such as the percussive hiss of the electronic snare, weren’t lost but were very distinct, and placed precisely in space between the speakers. But it was only when the throbbing drum-beat kicked in at 1:37 that I knew I was listening to a speaker I could really love and live with over the long term. The attack of the bass was lightning-fast, with sustain that was necessarily short but extremely full and punchy, and possessed equally distinct decays. The soundstaging capabilities of the Three+s were fantastic: They threw a stage much larger than their relatively modest dimensions might suggest. This probably had a lot to do with the powered subwoofer section, and the well-integrated midrange and treble, which spread the soundstage well behind and above the speakers in a totally coherent manner -- I heard in front of me a massive, pulsing wall of sound. This is just the kind of sound I like when I play house music at high volumes. And with the next track on this album, “Sofi Needs a Ladder,” the GoldenEars just kept the party rollin’. Although the pounding electronica were truly impressive through the Three+, Sofia Toufa’s voice was still clearly defined amid the frenzied synth mix. The Three+ was definitely able to dig deeper and play louder than the less-expensive, passive Triton Five ($1999.98/pair). The Three+ did a better job with the ominous rumbling bass of “Solar Sailer,” from Daft Punk’s Tron: Legacy soundtrack (16/44.1 FLAC, Walt Disney), but even its powered subwoofer couldn’t fully reproduce the subsonic frequencies on this track. And while the Triton Three+ had excellent bass for a relatively small speaker, it didn’t have the reach or impact of, say, the larger, more expensive, more powerful Definitive Technology Mythos ST-L ($4999.90/pair), with its 1200W amp driving its larger subwoofer cone. I could play the Mythos ST-Ls about as loud as I could tolerate, with little sign of distress from the speakers. Not only did the Mythos ST-Ls reproduce all of the subterranean rumblings that I know “Solar Sailer” contains; I could also play Deadmau5’s 4x4=12 at extremely high volumes with no distortion in the mids or highs. At very high levels, the Three+s began to sound a bit compressed; they no longer had that crystalline quality I’d previously heard. But while the Triton Three+’s midrange could sound strained at high volumes, at more moderate listening levels it was a tad sweeter and smoother than that of the DefTechs. This made voices especially enticing. For example, the Three+ did a spectacular job of reproducing the beautifully melodic singing in the Brentwood Duo’s cover of “Deadpool Rap (Acoustic Version),” from Deadpool Reloaded: More Music from the Motion Picture (16/44.1 FLAC, Milan). Although Isla Brentwood’s voice is very similar to that of her brother, Finley, it’s ever so slightly deeper, with a smoky quality that was always apparent through the Three+. The purity of the sparkling harmonies and the immaculate sound of the acoustic guitar were breathtaking through the Three+, proving that this speaker was about more than just bass and dynamics. One of several differences between the Three+ and the larger powered Tritons is that the Three+ has just a single midrange driver. But judging by the Three+’s ability to throw up a huge wall of sound while sounding incredibly transparent throughout the audioband, this should not be a concern. After all, this compact floorstander is a three-way design with two passive bass radiators, and its powered subwoofer section uses sophisticated DSP -- it contains much more technology than does a typical passive two- or even three-way design. GoldenEar has done a wonderful job of integrating the outputs of the drivers and passive radiators; the result was an exceptionally smooth sound from top to bottom. The percussion that begins “Somewhere Down the Crazy River,” from the wonderfully recorded Robbie Robertson (16/44.1 FLAC, Geffen/Mobile Fidelity Sound Lab), bounced playfully around the soundstage. Each drumbeat was taut and distinct, and the various instruments, and Robertson and Sammy Bodean’s voices, were placed with great precision on the sharply focused soundstage. I’ve long enjoyed speakers with integral powered subwoofers for their ability to play at realistic levels without the need for very powerful amplifiers. This was the case with the Triton Three+. While the 180Wpc produced by the Hypex Ncore modules of my NAD Masters Series M27 power amplifier drove the GoldenEars with ease, the speakers sounded almost as good with the 100Wpc provided by a NuPrime IDA-8 integrated-DAC. The little NuPrime competes well above its size and price, but I’ve found that with some larger passive speakers, such as the KEF R900, it doesn’t have quite enough power to play at very high levels when I want to rock out. With the Triton Three+s, however, the NuPrime was able to reproduce sharp instrument outlines, as well as the slamming bass in the remix of Junkie XL’s “Maximum Effort (Remix by Nightclub),” from Deadpool Reloaded. The overall sound was slightly softer than through the NAD M27, but the soundstage was still large and well delineated, with sufficient grip when required. GoldenEar Technology’s Triton Three+ is an exceptionally neutral loudspeaker that is highly revealing while still sounding very natural. But despite its powered subwoofer section, the Three+ is not the last word in bass. For that, GoldenEar has the larger Triton Two+ and their amazing, top-of-the-line Triton One. While the Three+ won’t reach down into the bottommost octave, I found its fast, incisive lows extremely satisfying, and deep enough that I could enjoy bass-heavy music without feeling I was missing anything. The Triton Three+s’ reproduction of soundstages is also excellent. 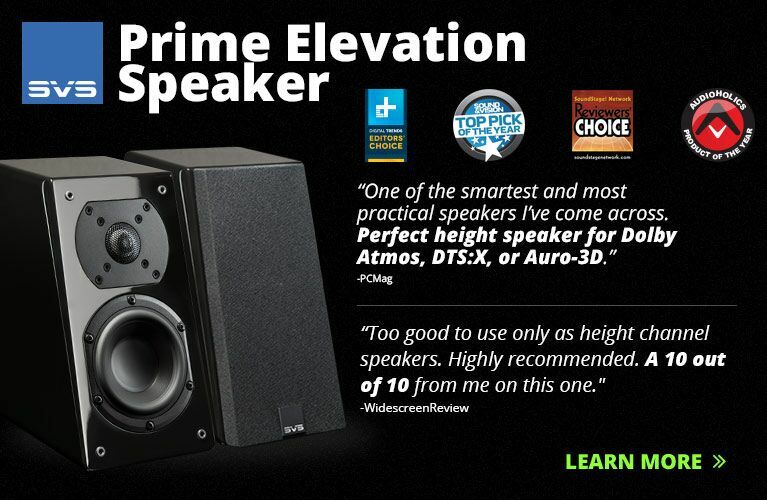 In short, these compact floorstanders won’t visually dominate a room or cost a boatload of cash, but they’ll produce class-leading sound for their price. Price: $2499.98 USD per pair. Warranties (parts and labor): drivers & cabinets, five years; electronics, three years.